Plantation shutters Chesterfield, brought to you by Just Shutters Nottinghamshire, the interior Plantation Shutter experts. For quality, service and value, call us now on 0115 838 2558. If you are looking for window shutters in Chesterfield or in the surrounding areas, Just Shutters are your local specialists. 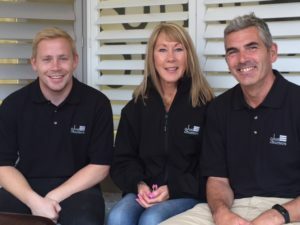 Set up by Jill and Andrew Spivey and their son Joe, this local family business combines the very best of traditional family business values, with the outstanding service, quality and lifetime warranty Just Shutters guarantees. Stunning bespoke interior shutters are not only for your windows; your doors, wardrobes and even room dividers can be enhanced by perfectly designed made to measure shutters. Made for any shape; arched, angled, perfectly round portholes, Velux and bays, shutters look simply beautiful as an elegant, luxurious and super stylish alternative to curtains and blind. 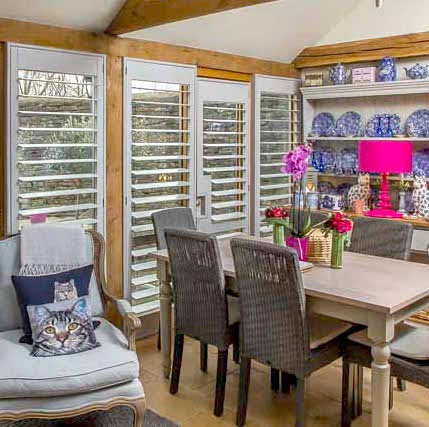 A room with shutters benefits from an array of light and shading options, from perfectly private whilst letting the light in, to near black out and even folding back entirely to leave unencumbered windows that can be cleaned, opened and enjoyed free from nets, curtains or blinds. – Our shutters come with a Just Shutters lifetime guarantee. Just Shutters offer the widest choice of styles, materials and finishes in Chesterfield, in fact the UK, we have an unsurpassed reputation for quality and service, with over 1800 reviews on Checkatrade for the entire Just Shutters network – resulting in a 9.9/10 rating. See our Checkatrade profile for examples. We are so confident in our work, our shutters come with a lifetime guarantee. For more information on our shutters, to arrange an appointment, or to receive our full colour brochure, please call us on 0115 838 2558. You may also like to see: Plantation Shutters Chesterfield, window shutters Nottingham, window shutters Derby, shutters Loughborough, shutters Newark-on-Trent.